Here is the final trailer for Man of Steel, which comes out next week. It is action-packed to say the least and reveals a ton of new footage. 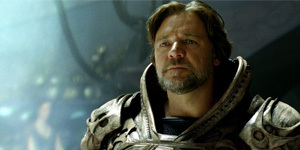 One of the biggest surprises is that Jor-El appears to be alive, something I’ve theorized about previously. Check out the trailer and leave your thoughts. It could also be a kind of hologram or hallucination. It'd be cheaper than CGI'ing him as a projection similar to how Brando in the Fortress Of Solitude in the original movies.